Stephen supports many registered charities with whom he has established relationships. We are very sorry but we are not able to provide personal support or financial loans to individuals. 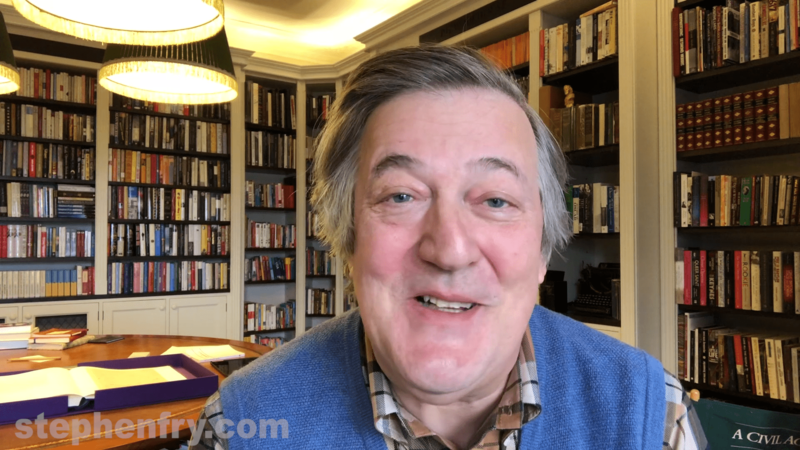 Stephen Fry has asked us to thank you for your response to the news about his recent dealings with prostate cancer. He is now abroad and will update with further news in his own time and own words and is politely and respectfully declining all requests for interviews. A 1920×1080 image used in the posted video is available for press use. Stephen cannot be contacted by email personally. Please address your postal mail in the following manner. Stephen does not have personal publicity management. StephenFry.com is owned by SamFry Limited. It has been produced by Andrew Sampson and designed by Nicole Stewart since 1999.